Please ensure you go to 84 Elm Road and not next door clinic at 82 Elm Road. Entrance to 84 Elm Road is via passageway at left hand side of building. Door entry system – please push buzzer. Parking: Pay and Display public car park at rear of Leigh Police Stattion which is opposite clinic. 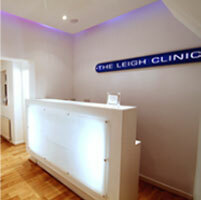 When it comes to trying acupuncture service in our leigh on sea clinic, you can be rest assured. Derek Climpson has over 32 years of experience as an acupuncture therapist and he has been practicing traditional acupuncture as well as alexander technique based acupuncture in the leigh on sea clinic. Our Acupuncture leigh on sea clinic has all the modern amenities you need and you can be rest assured that your problems will be resolved here.